London-based rental property service Movebubble, featured in the Startups 100 index, has raised an additional £1.1 from a group of high-profile names including Spotify managing director Adam Williams. Richard Leigh; managing director of London and Capital, and Robert Stiff; founder of Team24, also participated in the round. Founded in 2014, Movebubble aims to “reduce the stress and hassle of renting” by enabling users to book viewings and secure a home by using feedback from other renters to inform their decisions. 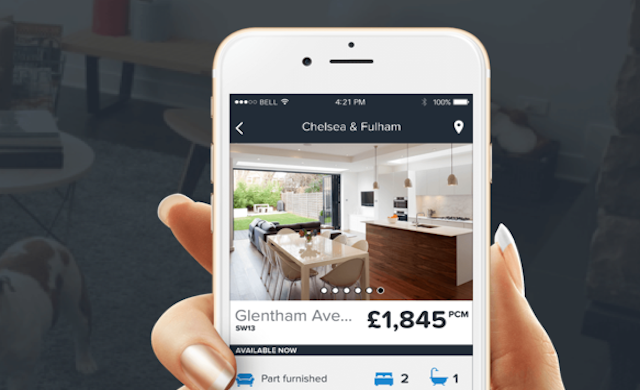 The app works in partnership with 250 estate agencies across London and claims to have seen 170% month-on-month increase in downloads in January this year. The funding, which takes total investment into the company to £2.36m, will be used to fuel Movebubble’s growth ambitions as it looks to “disrupt the market”.